Ressa's lawyer Thursday paid the 100,000 Philippines peso bail ($ 1,915) fee to secure her release after she had spent the night in detention. 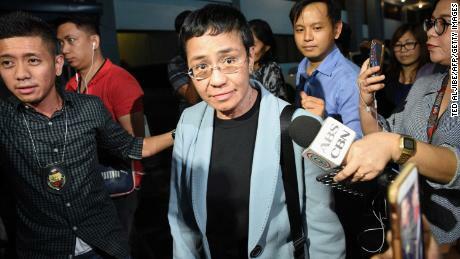 Upon her release, the co-founder and editor of online news outlet Rappler – which has gained prominence for its unflinching coverage of President Rodrigo Duterte and his brutal war on drugs – made an impassioned speech about freedom of the press, calling her case an "abuse of power and weaponization of the law." "The message that the government is sending is very clear: Be silent or you're next," said Ressa, a 2018 Time Person of the Year. "So I'm saying, and I'm appealing to you, not to be silent.
" Press freedom is not just about journalists, right? It's not just about us, it's not just about me, it's not just about Rappler. Press freedom is … the foundation of every single right of every single Filipino to the truth, so that we can hold the powerful to account. " Ressa, who was already out on bail following tax evasion charges filed against her last November, was arrested Wednesday at Rappler's Manila office shortly after 5pm. The latest lawsuit relates to a story written in 2012, which alleged that businessman Wilfredo Keng had links to illegal drugs and human trafficking . 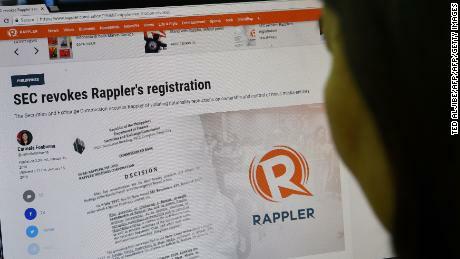 The article was published by Rappler two years before new cyber libel laws came into effect in the Philippines. 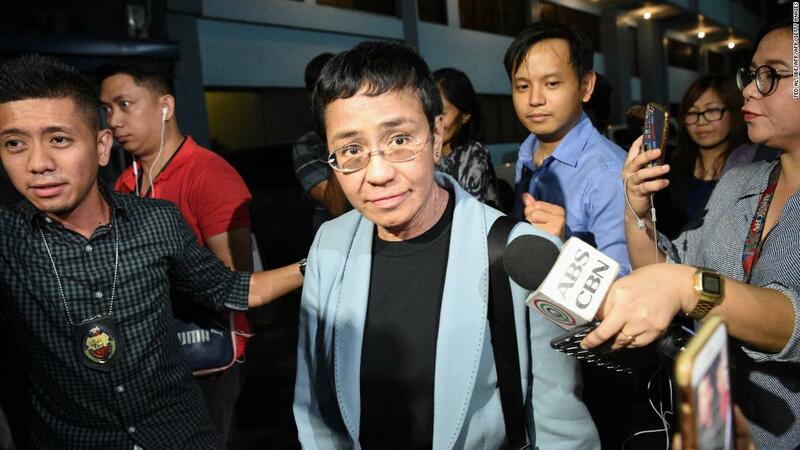 The National Bureau of Investigation ruled in January that because the report preceded the law, Ressa could not be charged. But that judgment was later overturned by the Department of Justice on the groun ds the article was updated in February 2014. Rappler's extensive reporting on the Philippines under President Duterte has made the site – and its journalists – targets of his supporters. "You have to wonder why is it that the person that is named in that article waited five years to file any charges, "said Steven Butler, the Asia program coordinator for the Committee to Protect Journalists. National Union of Journalists of the Philippines said the arrest was "clearly a desperate move of the government to suppress the media" and dissent from the government. The legal case against Ressa comes at a time when press freedoms are being challenged in the Philippines and around the world. In 2018, Ressa was named among a group of journalists crowned Time magazine's Person of the Year. CNN's Joshua Berlinger, Lauren Said-Moorhouse and Karen Smith contributed to this report.